A Mine Disposal Vehicle which ATSA provided technical support for. Image via Commonwealth of Australia. ATSA Defence Services co-founder and engineering director Darren Burrowes has laid out some key stepping stones of his transition from a Navy career to co-founding a defence-focused startup and on to developing a key SME. Burrowes told Defence Connect that after leaving the Royal Australian Navy in 1989, having completed an 11-year stint, he subsequently worked on two key defence projects from a different angle. He said his involvement with the Anzac ship and Minehunter Coastal programs had been pivotal in setting him up for his post-Navy venture. "That's where I got a lot of my experience in systems engineering [and] project management," he said. "It's those lessons out of the big companies that I worked for [and] taking the lessons learnt … and how to do things properly in defence, and applying the best of breed into a small company [is] what we've always been about." Burrowes said another key contract comprised managing Saab products. "We were finding, maintaining and repairing the system right from the get go," he said, noting that at that time, the system itself was still being delivered. "We were providing the training; we were service partners for Saab Underwater Systems, so we became their arms and legs in Australia in that period." Specifically, Burrowes had a remit to oversee the delivery of the Saab underwater mine disposal system to the Minehunter Coastal program. "[We] ran all the trials and got sign off from the customer and supported that system through the whole acquisition process," he said. "Then we established the in-service support capability, [which] didn't exist in Australia, so [we had to] completely boot strap fund [it] from our own income from the repairs. "We funded the development of our whole workshop facility, [along with] the growth of the company to create what I think is a sovereign industry capability for underwater vehicle maintenance. 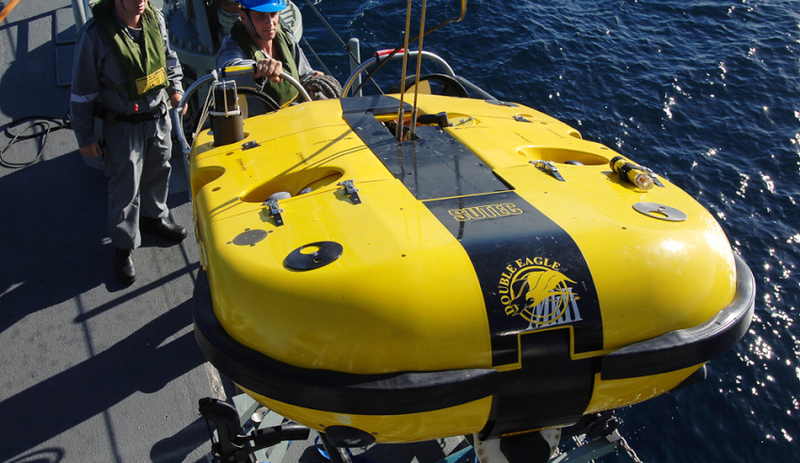 That's remotely operated vehicles like the Double Eagle and autonomous underwater vehicles that will be entering service soon with the Navy."